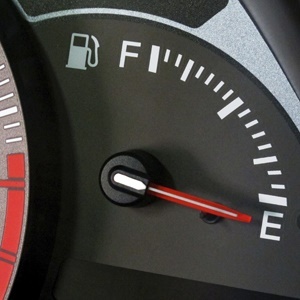 Cape Town - The price of 95 unleaded and leaded petrol in Gauteng will increase by 72c/l and at the coast 62c/l with effect from next Wednesday, the Department of Energy (DoE) announced on Wednesday. The per litre pump price of 93 unleaded and leaded petrol will increase 69c/l in Gauteng and 59c/l at the coast, according to the official announcement. Diesel prices will go up 65.20c/l in Gauteng and 55.10c/l at the coast. Illuminating paraffin (wholesale) will cost 2.30c/l and 4.90c/l less in Gauteng and at the coast respectively. Illuminating paraffin (single national maximum retail price) will be 6c/l cheaper countrywide. This DoE also announced that the maximum retail price for LP gas will increase by 39c/kg from next Wednesday. Countering the bad news, the SA Reserve Bank earlier on Wednesday announced a cut of 25 basis points in the repo rate. This means that from April 1 the prime lending rate will be 10% from 10.25% before. The Automobile Association cautioned hours before the official fuel price announcement that the upcoming fuel increases in April would likely have pushed the price of petrol closer to its December all-time high of R14.49 per litre (93 octane) and R14.76/litre (95 octane) inland and R13.76/litre at the coast. Commenting on unaudited month-end fuel price data released by the Central Energy Fund, the AA warned that any further increases in international petroleum prices in the near future could cause domestic fuel prices to quickly reach even further highs. International petroleum product prices have remained stable since mid-February, but have climbed sharply since March 12. That is why the AA said it was anticipating an increase of about 63c/litre for petrol and 57c/litre for diesel. The AA also pointed out that the rand/dollar exchange rate has remained stable over the same period, meaning that most fuel prices would have increased even without the additional taxes announced in February's budget. The DoE listed among the reasons for the increase in fuel prices of petrol and diesel was the rand depreciation against the dollar from R11.81 in February to R11.84 in the March review period. “This led to a higher contribution to the Basic Fuel Prices on petrol, diesel and illuminating paraffin by 1.64 c/litre, 1.66 c/litre and 1.70 c/litre respectively," the DoE stated. By 16:23 on Wednesday afternoon, the rand was trading at R11.77/$ and a barrel of Brent crude oil was selling for $68.91. The general fuel levy and Road Accident Fund levy will go up in April by a combined 52c/litre, contributing to the substantial price increases at the pumps. The DoE explained that the fuel levies on petrol and diesel announced in the 2018 Budget, which are respectively 22c/litre and 30c/litrewill amount to increases of 337c/litre and 322c/litre respectively. They come into effect on April 4. The Road Accident Fund Levy in the price structure of petrol and diesel will amount to 193c/litre, the DoE stated.